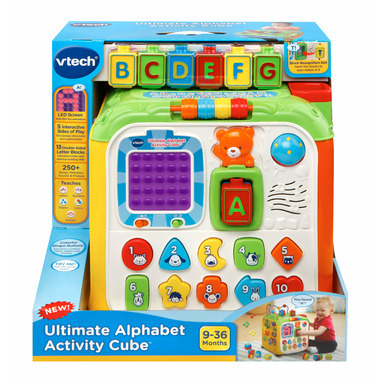 Get the building blocks of learning with the Ultimate Alphabet Activity Cube™ by VTech®. 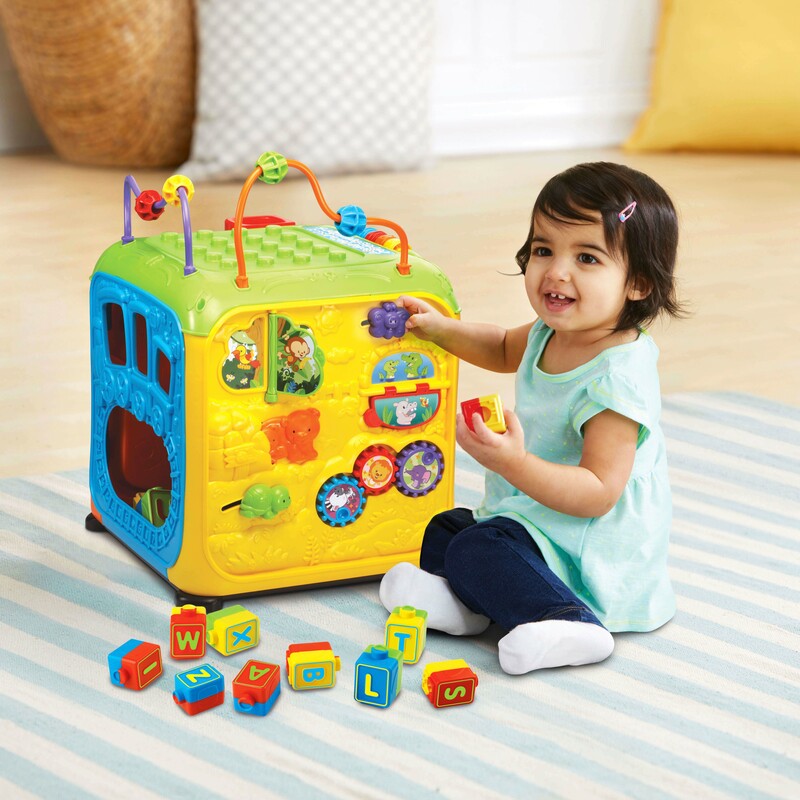 This cube has five interactive sides and includes 13 double-sided letter blocks that provide a variety of developmental benefits for years of play. 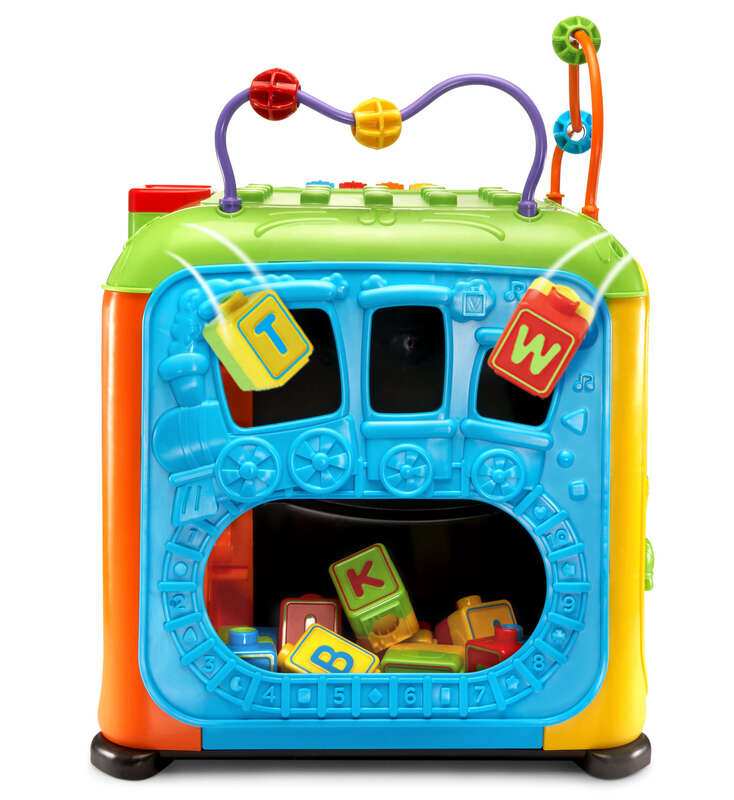 Insert the blocks into the letter recognition slot and the cube will show the letter on the LED screen and introduce it through a playful song. 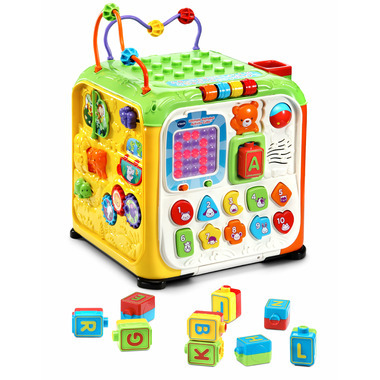 Drop the letter blocks into the chute and each block will be counted or will play sounds as it drops down the peg maze. 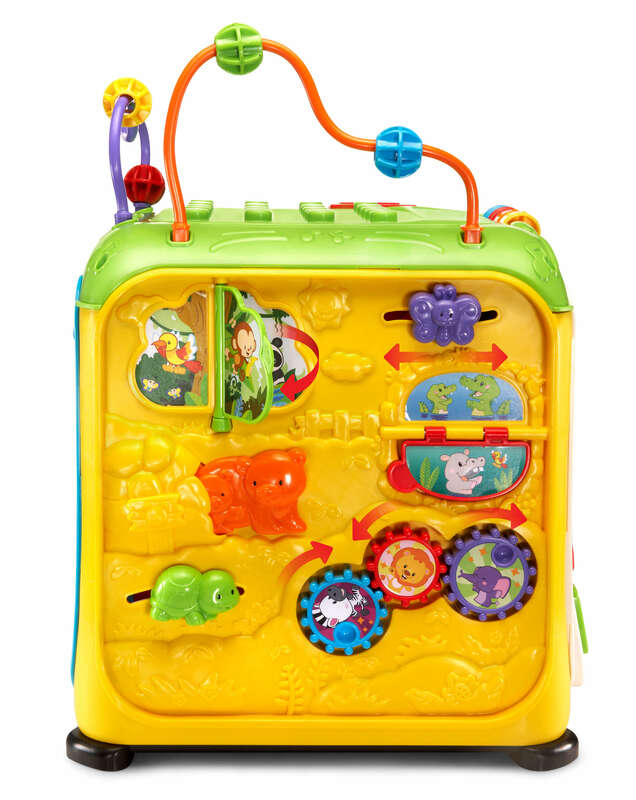 Press the ten colorful shape buttons to learn about numbers, colors, shapes, animal names and sounds, and hear simple questions that will keep toddlers engaged. Other sides of the cube feature animals to slide or flip, block-sorter holes, gears and more. The cube also has storage to hold all the blocks when they’re done playing. Your little one will have fun exploring all the ways there are to learn!